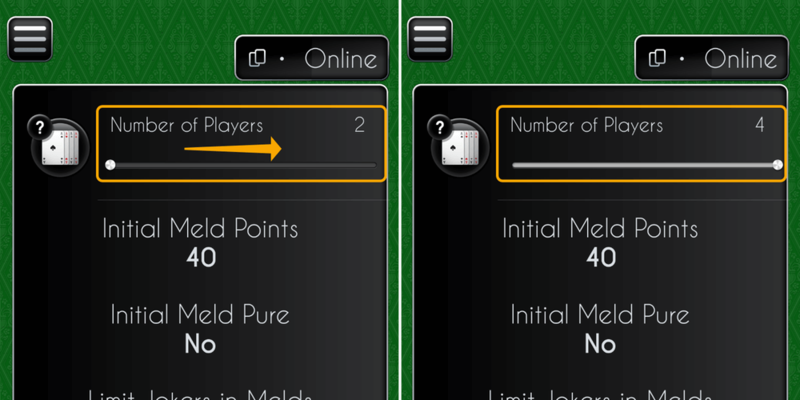 After only a few weeks of waiting, the multiplayer mode for two players has been reactivated in the latest update of the Rummy Multiplayer app. At the end of October we had introduced the new function of the 4-player multiplayer mode and therefore had to switch off the 2-player mode for a while due to restructuring. This process has been reversed with the update to version 4.0.3 on both Android and iOS. 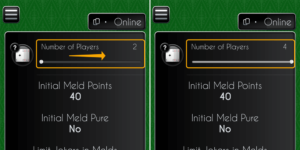 From now on every player will be able to choose between two or four players after selecting the online mode. All you have to do is move the slider at the top of the info screen. You have questions, problems or suggestions? Check out the official Rummy Multiplayer support site or send an email to support@lite.games.